Spire Industrial Equipments Co. is one of the prominent steel round bars suppliers in India. 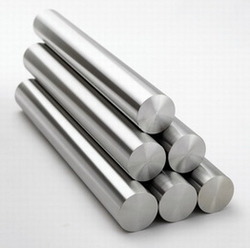 All sorts of alloy steel round bars can be easily obtained from single window named as Spire Industrial Equipments Co. We present wide gamut of steel round bars which all are widely used for different industrial applications. In-time delivery of bulk requirement is our specialization. Qualityâ��s genuineness is the mainstay of our organization and we are especially known to deliver premium stainless steel products at most competitive prices.